You can summon pure energy to strike down foes. Destructive Blast: As a standard action, you may deliver a burst of blunt magical force as a melee touch attack or a ranged touch attack within Close range. A destructive blast deals 1d6 bludgeoning damage, plus 1d6 for every two caster levels above the first (max 10d6 at level 19). When augmenting a destructive blast with Destruction talents, you may only apply 1 blast type talent and 1 blast shape talent to each individual destructive blast. You may spend 1 spell point when making a destructive blast to increase the damage dealt to one damage die per caster level (minimum: 2d6). You may change your destructive blast from bludgeoning damage to acid damage. Any creature damaged by your acid blast suffers 1 point of acid damage per damage die the following round. You may change your destructive blast into a blast of air. An air blast deals nonlethal damage. You may make a Bull Rush at range against the target or targets affected by your air blast. Only a target successfully struck by the blast (or one that fails their Reflex saving throw if one was required) is affected. Your CMB for this check is equal to your caster level + your casting stat modifier, and all targets are pushed from the point of origin of the effect (usually yourself, but if using a talent such as Explosive Orb, it would be the center of the blast. If using Energy Wall, each square of wall is considered the center of effect for those who enter that section. If the target is knocked into a solid object, they suffer 1d6 bludgeoning damage, + 1d6 for every 5 ft they would have continued past the barrier. You do not move with the targets of your Bull Rush. You may place a destructive blast onto an adjacent, unoccupied 5 ft square. Any creature who steps onto that square is affected by your destructive blast, and is allowed a Reflex save for half damage. A blast trap lasts for 10 minutes per caster level before becoming inert. This is a magical trap with a Perception DC and Disable Device DC equal to the blast’s save DC. You may only have one active blast trap at a time; placing a second trap deactivates the first. You may select this talent multiple times. Each time it is taken, increase the number of blast traps you may have active at once by 1. When making a destructive blast unaltered by a (blast type) talent, you may change the damage of the destructive blast to be either bludgeoning, piercing, or slashing, and may change all rolled 1’s and 2’s to 3’s. Your destructive blast becomes an explosion of crystal, growing where it strikes. A crystal blast uses d4’s instead of d6’s as its damage die and deals piercing damage. The target of your crystal blast must pass a Reflex save or be entangled and unable to move. In addition, the target’s square (or the blast’s affected area) becomes overgrown with crystal and counts as difficult terrain. Breaking free of the entangled condition is a move action, requiring either a Strength check or an Escape Artist check against the crystal blast’s save DC. A target may also destroy the crystal on a square or creature by dealing 3 damage per caster level to the crystal. This removes the entangled condition from the creature and destroys the difficult terrain. Crystal disappears after 1 minute. You may change the damage type of your destructive blast to electricity. Targets wearing metal armor or primarily comprised of metal suffer a -3 penalty to AC and to saving throws against an electric blast. An electric blast can ignite combustibles, and melt metals with a low melting point, such as lead, gold, copper, silver, or bronze. You may spend a spell point to shape your destructive blast into a non-instantaneous sphere that fills a 5 ft square. Any creature within this space is dealt damage from your destructive blast (Reflex negates). This sphere lasts for 1 round per caster level and has a 20 ft fly speed +5 ft per 2 caster levels and Perfect maneuverability. Wind does not affect its course. As a move action, you may direct this sphere to move to a new location and strike a new target. Your sphere stops to attempt to deal damage whenever it enters a space with a creature. Your sphere has no mass and does not impede movement, and your sphere must stay within your destructive blast range or disappear. You may spend a spell point to shape your destructive blast into either a wall up to 20 ft per caster level or a hemisphere with a radius up to 5 ft per 2 caster levels (minimum: 5 ft). This wall extends up to 20 ft high and lasts for 1 round per caster level. The wall does not block line of effect, line of sight, projectiles, or thrown objects. Creatures passing through your wall suffer your destructive blast’s damage and effects as normal. Creatures standing in the wall’s space when it is created are allowed a Reflex save to avoid damage. As a standard action, you may make a single weapon attack in conjunction with making a destructive blast. Any creature damaged by the attack is also struck by the destructive blast. You may spend a spell point to make a destructive blast as a burst effect centered anywhere within range. This burst has up to a 10 ft radius, + 5 ft per 5 caster levels. Affected creatures are allowed a Reflex saving throw for half damage. Increase the range of your destructive blast by 1 range level (Close to Medium, Medium to Long). You may select this talent multiple times. The effects stack. You may spend a spell point to change the damage type of your destructive blast to force. Any creature damaged by a force blast must pass a Reflex save or fall prone. You may change the damage type of your destructive blast to fire. 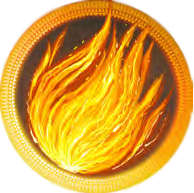 Targets who take damage from your fire blast must make a Reflex save or catch fire. A burning creature takes 1d6 damage the following round, plus 1d6 per round until the flames are extinguished. Each round the target may make another Reflex save to attempt to extinguish the flames. Rolling on the ground or using a blanket to smother the flames (a full-round action) grants the target a +4 bonus to that round’s saving throw. You may change the damage type of your destructive blast to cold. Targets who take damage from your frost blast must make a Fortitude save or be staggered for 1 round. You may spend a spell point to add a +20 circumstance bonus to your destructive blast’s attack roll. You may change the damage type of your destructive blast to negative energy. Targets damaged by your nether blast must pass a Will saving throw or be shaken for 1 round. A nether blast does not damage undead; instead, the undead must make a Will save or become frightened for 1 round. You may use your destructive blast to shield a target within range from ranged weapons, area effects, or even other destructive blasts for 1 round, giving them the benefits of evasion, a +2 cover bonus to AC, and a +1 cover bonus to their Reflex saves. Multiply these bonuses by 2 at 5th caster level, by 3 at 10th caster level, by 4 at 15th caster level, and by 5 at 20th caster level. By spending a spell point, you may perform a rebuff as an immediate action, or provide the benefits to all targets within 10 ft of you plus 5 ft per 5 caster levels. You may spend 2 spell points to gain both of these benefits with the same rebuff. You may spend a spell point to create a destructive blast as an area effect, affecting your choice of either a cone of up to 10 ft per caster level or a line of up to 20 ft per caster level, emanating from yourself. You do not need to make any attack roll for area attacks, but creatures in the effect are allowed a Reflex saving throw for half damage. You may change the damage type of your destructive blast to slashing, piercing, and bludgeoning. A stone blast ignores spell resistance, spell turning, and can penetrate a globe of invulnerability, anti-magic field, or antimagic circle, and is not treated as a spell or magical effect for creatures or classes that gain a bonus to saving throws against magic. These stones disappear after 1 minute. You may change the damage type of your destructive blast from bludgeoning to sonic. Targets who take damage from your thunder blast must pass a Fortitude saving throw or be deafened for 2d4 rounds.